This week the Horror Duo take a look at a pair of films about painters who suffer for their artistic visions. Forest discusses Able Ferrara's gritty indie directorial debut, The Driller Killer - about a man who kills bums with a battery powered drill. Cory covers yet another Herschell Gordon Lewis film, Color Me Blood Red, which is the third of his Blood Trilogy. They also chat about shopping at a soon to be closed Toys R Us, movie collection storage, what to expect from Rob Zombie's 3 From Hell and the crust old man who William Friedkin has become. For more Slaughter Film news and reviews, as well as show notes and special events, make sure to visit our website; SlaughterFilm.com. 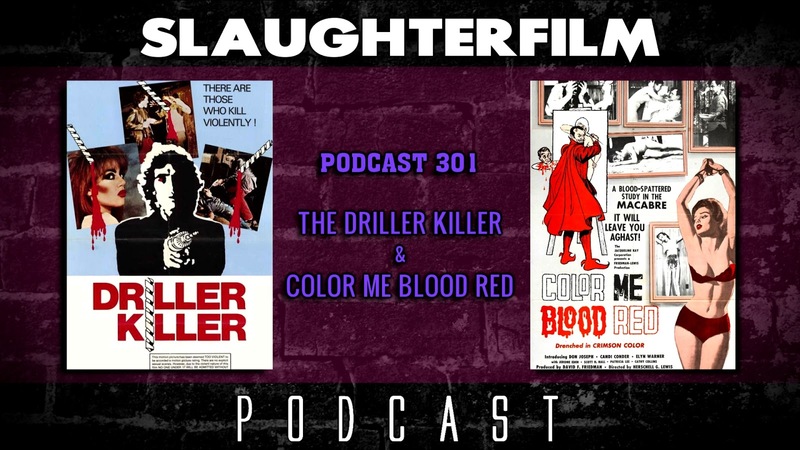 25:33 - "The Driller Killer"
47:23 - "Color Me Blood Red"